The theme has been successfully tested on IE7, IE8, Mozilla Firefox, Opera, Safari, Netscape Navigator and Chrome. 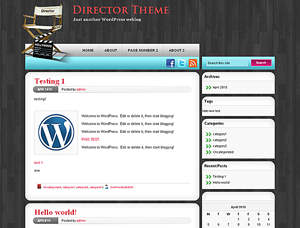 The homepage of Director WordPress Theme is live. More updates will follow soon. Stay tuned.